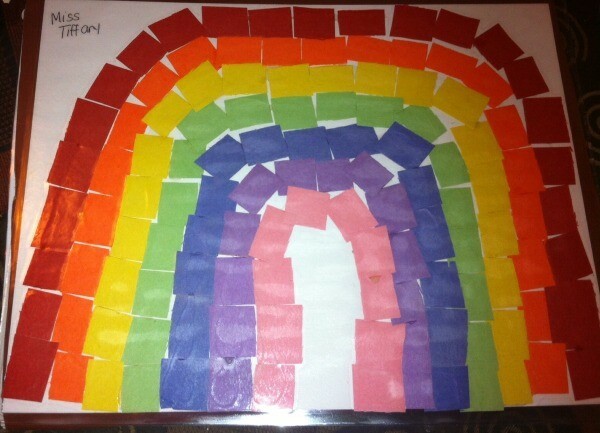 Rainbows are a popular image in kids' art projects. 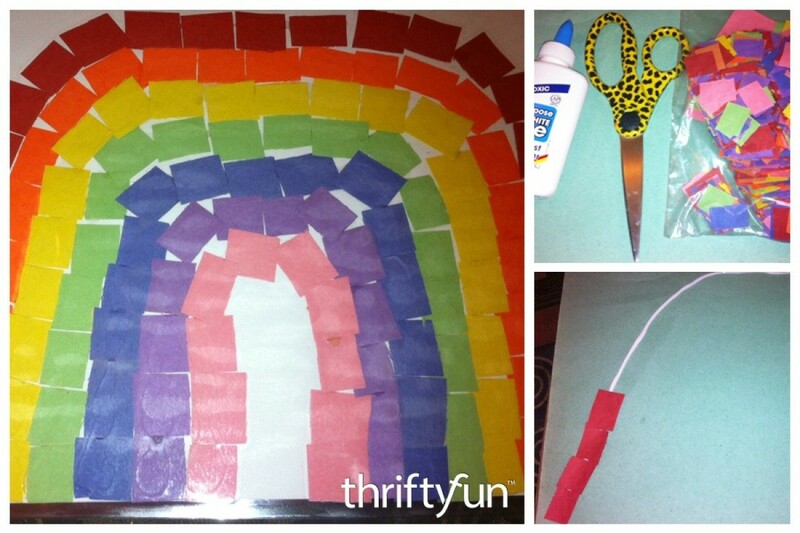 Bits of torn or cut paper can be used to make a beautiful rainbow mosaic. This is a guide about how to make a paper rainbow mosaic. 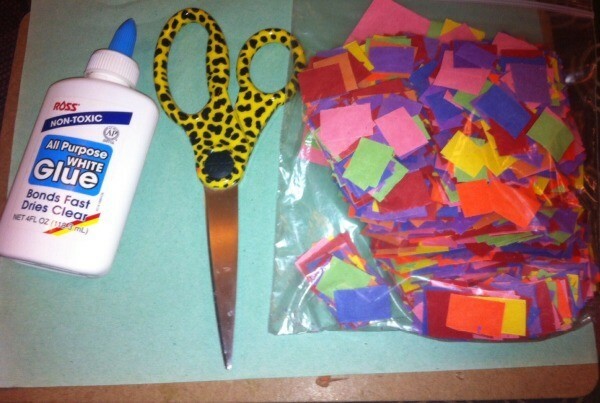 Rainbow crafts are popular for the St. Patrick's Day theme. There are so many different ways to create and learn about them. One way is to make a mosaic. 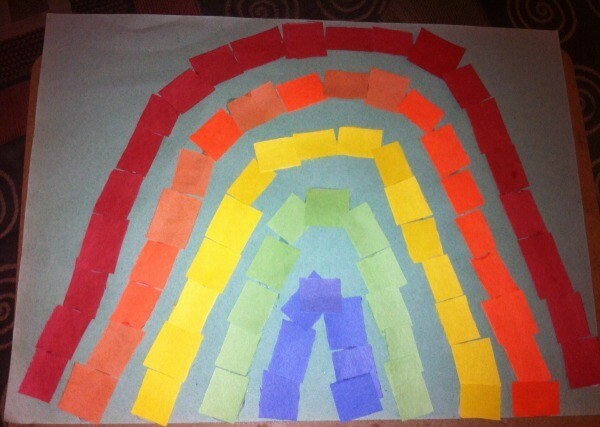 This craft is simple and can lead to unique ideas about how to represent a rainbow. 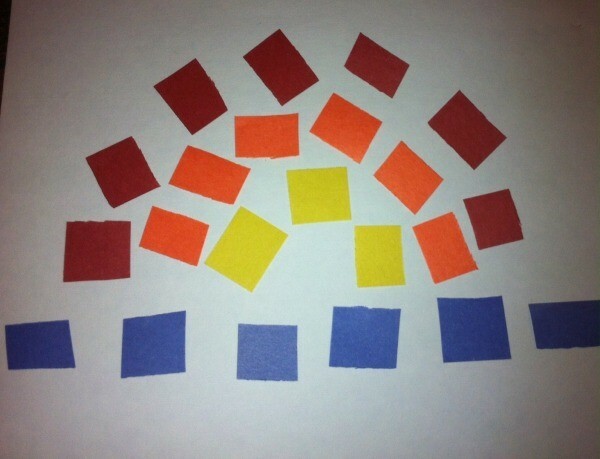 Many students in my class stuck with "ROY G BIV", while others made straight lines and color explosions. Any way the craft is completed, the rainbows are still beautiful. 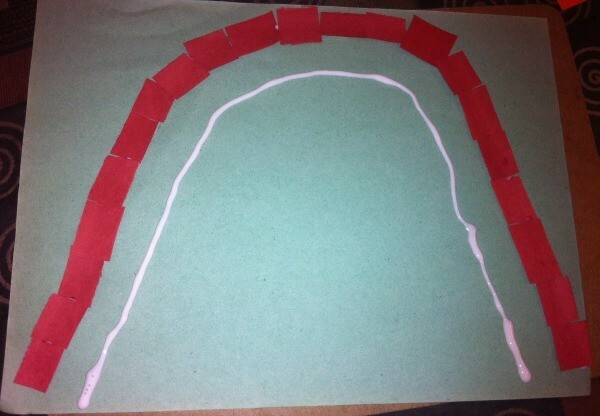 To create a 'normal' rainbow, draw a curved glue line on your paper. 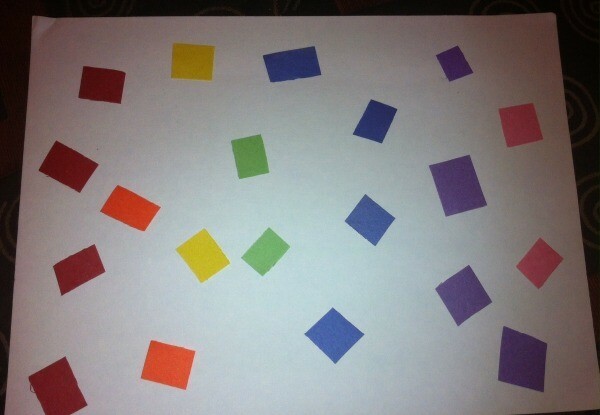 Start adding red squares to the line. 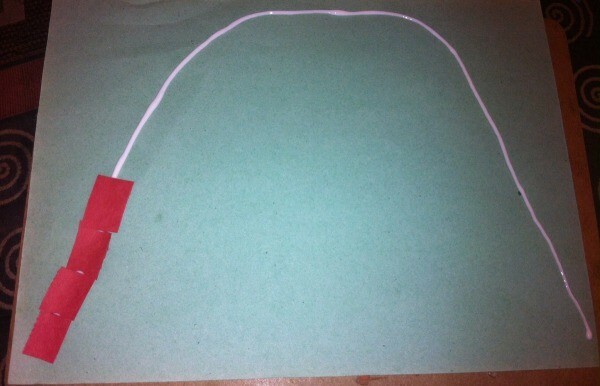 Finish adding red squares to the first line of glue. Draw another line below the first. Add orange squares along the second line. 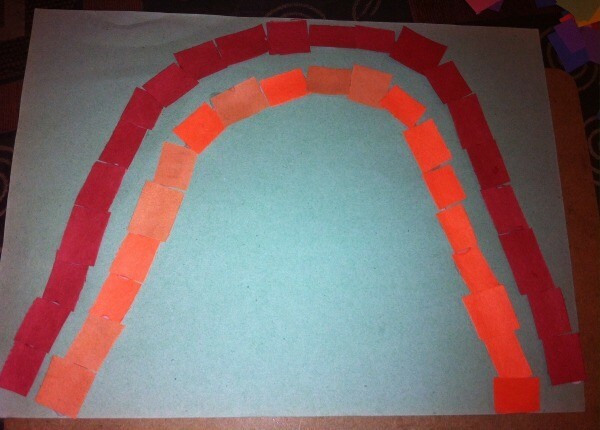 Continue adding glue lines and the next rainbow color until you feel the rainbow is complete. 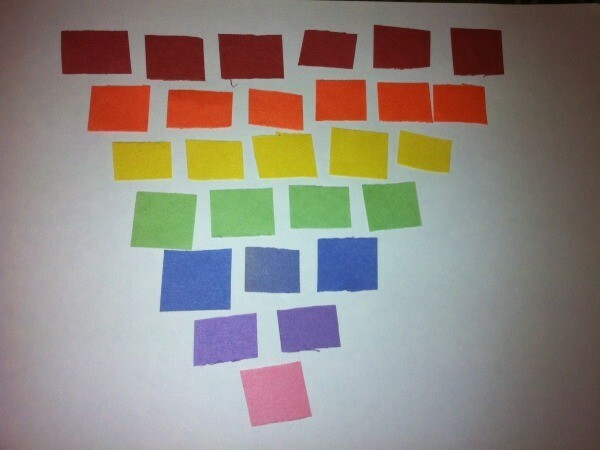 Here is an example of a color explosion rainbow. A couple kids in my class did something similar to this. Here are two more examples of how I've seen kids represent rainbows. According to a student I had, the blue line in the second photo serves as clouds.